In identifying or describing cars, car makes and models are often used as two descriptive devices to pinpoint or identify a particular car. Both a car’s make and model are often used with each other or separately for this function. There are also instances when the two are used interchangeably. In terms of the market, some consumers are very particular about car makes and models. However, some people are more particular in one aspect than another. When choosing a particular car model, the customer automatically picks the make of that car. A car’s make refers to the car’s manufacturer or companies who produced the car. Famous car makes include: Toyota, Volkswagen, Ford, Honda, Peugeot, Hyundai-Kia, Nissan, Renault, Ferrari, Chevrolet, and Daimler Chrysler. Car makes are often large, multinational companies. In some instances, they are distinguished by their association with a particular nationality or country of origin. Foreign car manufacturers often have their headquarters in their home country with satellite branches across the world. For example, Toyota and Nissan are associated with their origins and headquarters in Japan. The same goes for German, French, American, and other car manufacturers. On the other hand, car models are the specific products. The car model is often the specific name, number, or initial to indicate the difference between two models. 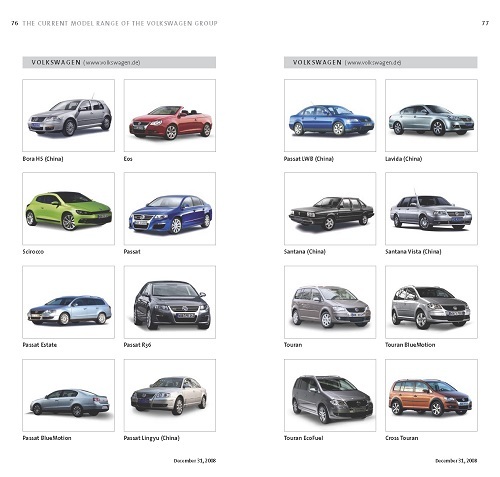 Car manufacturers use a lot of car models (or names) for their car line or series. Some famous car model names are: Mustang, Pontiac, Prius, Focus, and Beetle.. The car name is chosen by the car manufacturer for its own line of products. This is especially useful when two rival car manufacturers release cars with an almost identical or very similar design. In some car models, the year of release or model year is also included. This is often used to distinguish one car model from another in a car series, since car manufacturers tend to release the same design as a car series under one name but with different years. Aside from the chosen name for the car model, there are other distinctions in determining a car’s model. One of them is the particular car chassis or bodywork. The car chassis is the skeleton or frame of the car, and some car models have slight or major differences in terms of this category. One example that illustrated the concept of car models is a car’s trim level. Trim levels are basically “versions” of the car. A base or entry-level car is a car that has a basic design where the car model or name is bestowed. An increase in the trim level (due to additions and innovations to the basic design) elevates the trim levels. The highest trim level is known as a luxury version/a luxury car, and has a combination of names, initials, and numbers (in the form of an alphanumeric name) in addition to the car model name to indicate its features. The combination of the year, make, and model completes the description and identification of a particular car. 1.A car’s make and model usually make up its identification and name. The car make refers to the manufacturer or company that produced the car, while the car model refers to the car product itself and its registered identification name. Car models are identifiable and comprised of names, initials, or numbers. 2.A car’s complete identification is made by the year the car was released, the car make, and the car model. 3.Car makes are often distinguishable by their country of origin. Many car manufacturers are international companies that have an international market. Car models, in contrast, are determined by the car manufacturer and the year of their release. This is especially true in a car series where cars share a name but are released in different years. Another purpose of the name is to distinguish a car from rival cars manufactured by companies with similar designs. 4.Car models are determined from different aspects. These aspects include the car’s model year, the designated car name, the car chassis, and the trim level. The alphanumeric (combination of letters and numbers) names are only available for the luxury version of the car. Celine. "Difference Between Make and Model of a Car." DifferenceBetween.net. January 31, 2019 < http://www.differencebetween.net/object/auto-object/difference-between-make-and-model-of-a-car/ >. Pontiac is not a model. It was a car company at least in the past.